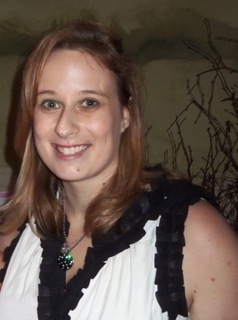 Megan Cyrulewski is the author of “Who Am I?”. It’s not just a book. It’s a very personal adventure. Hats down to the author for the courage to share such a real life story. Here is very interesting talk with the author just two days before the official release of the book! – Megan, what is your book about? – My book, Who Am I? 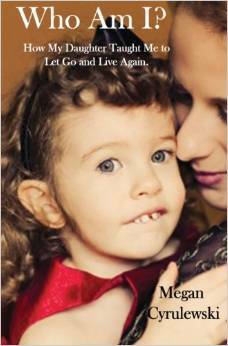 How My Daughter Taught Me to Let Go and Live Again, is about my journey into post-partum depression, anxiety disorder, panic attacks, stays in the psych ward, divorce, domestic violence, law school, how I managed to graduate from law school and a beautiful little girl who emerged from all of this chaos. – For two reasons: First, I want to address the negative stigma surrounding postpartum depression; and second, I want to let people know that emotional abuse is a form of domestic violence. – Reliving everything that had happened. It took about 2 months to finish it. From the time I signed my contract to release date, about 9 months. A mom, an attorney and an author. I have to tap a pen when I’m thinking. It’s weird, I know! My release date is August 2, but I’m happy about the pre-release sales. Radio interviews, Book Blast on my release date, blog tours and newspaper interviews. – You start to write very early short stories. What was your first one about? – The first short story I remember writing was for my 4th grade teacher, Mr. Klaver. I wrote about how I got a splinter in my foot. The title? “My Foot.” Very creative, I know. – How important is for small kids to listen their parents read them books? – VERY important. My daughter LOVES going to the library and picking out books. Tags: book, Megan Cyrulewski, Who Am I?